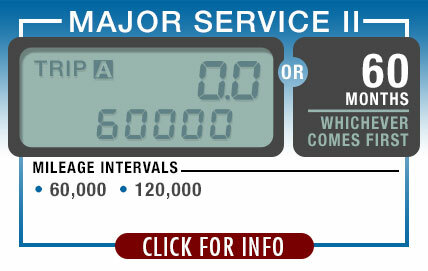 Every Subaru has a recommended service schedule for minor service, intermediate service, major service, and a high mile special service to keep your Subaru in optimal working condition throughout its service to you. Service intervals are determined by distance, the miles covered, or time, the months passed, whichever comes first, and each service package is designed to address the growing needs of your Subaru as you travel the miles and tackle the terrain. 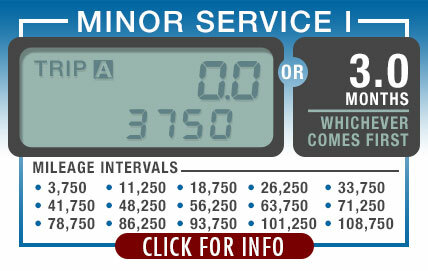 The Minor Service Intervals include an oil and filter change per your model's specifications, fluid check and fill, tire inspection and complete multi-point inspection. The Intermediate and Major Services include and cover a broader spectrum of maintenance needs for your Subaru to address increased wear and tear, including spark plug replacement, tire rotation, brake fluids replacement air filter replacement and complete vehicle inspection. 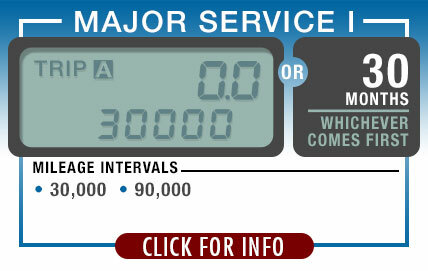 Take a look at our website to get a complete overview of your Subaru's service needs and write yourself reminders for those important mile markers or dates. 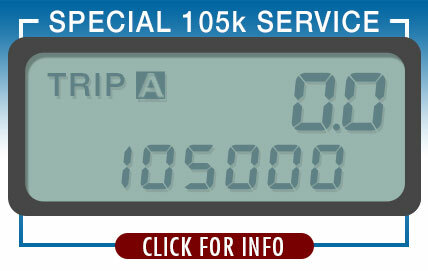 Your Subaru will thank you with years and miles of excellent performance and reliability. John Hine Temecula Subaru is thrilled to provide our customers with exceptional customer service and frequent money-saving Service Specials and Maintenance Discount Coupons. Subaru has a well-deserved reputation for providing many years of reliable and excellent performance, and we want each of our customers to experience all the great benefits of driving a Subaru by following the Manufacturer Recommended Maintenance Schedules for optimal working condition. Our Factory-Trained and Certified Service Technicians use only Genuine Subaru OEM parts and the latest in factory diagnostic and service techniques, consistent with our goals of exceptional quality and service. 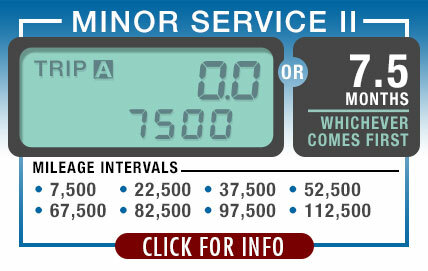 We recognize and honor all original Subaru warranties and extended warranties. We encourage all our customers in the Temecula Valley, Murrieta, Lake Elsinore, Hemet and the surrounding areas to get the most out of your Subaru experience by visiting our exclusive website specials often for updated opportunities to save money, which change monthly. Now you can save time by scheduling your next Service Appointment online with our convenient Schedule Service form, or give us a call at (855) 758-8240. We look forward to working with you at our Service Center, located at 42050 DLR Drive, Temecula, CA 92591, and making you a loyal customer of John Hine Temecula Subaru!